Discover the best places to eat, drink and unwind. 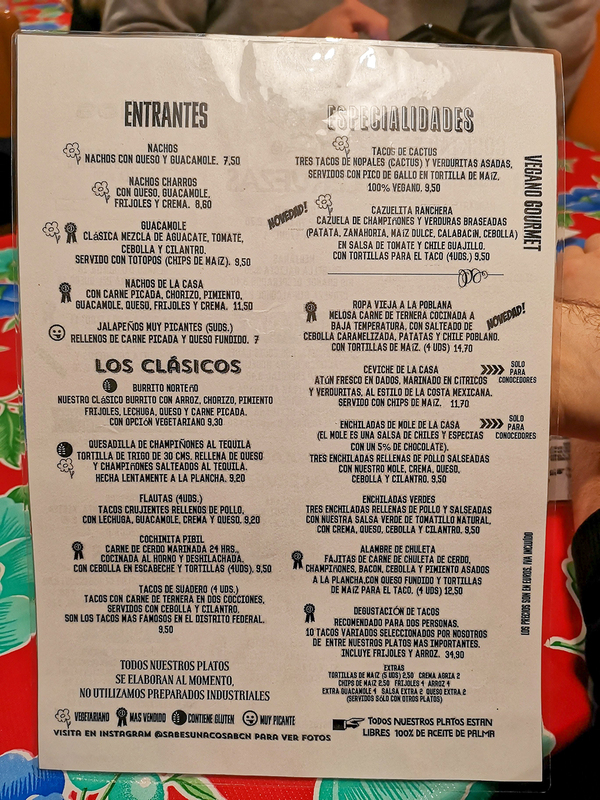 Sabes Una Cosa is a colorful Mexican restaurant with a great atmosphere located on Carrer de Tordera in Vila de Gracia. This particular street is a curious one, it gives an impression that there’s not that many things to check out at first, but after exploring a bit we realized its full of hidden gems, such as this one. 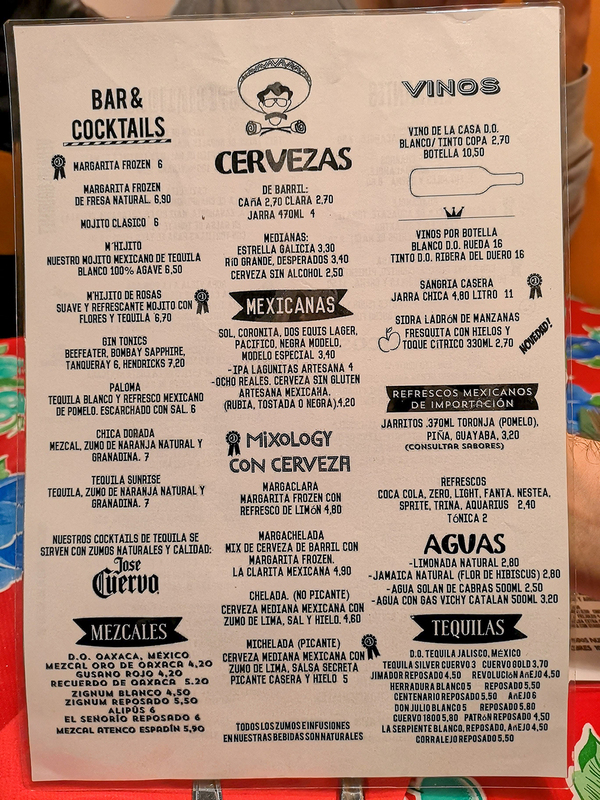 In Barcelona it’s sometimes difficult to find Mexican food that is authenic, reasonably priced and delicious, so we were very happy to find out that there is a spot that satisfies those three requirements just two streets away from our apartment! We went there on a Wednesday night to try out some of their dishes and we were delighted by everything they had to offer. Type of food: Mexican food. 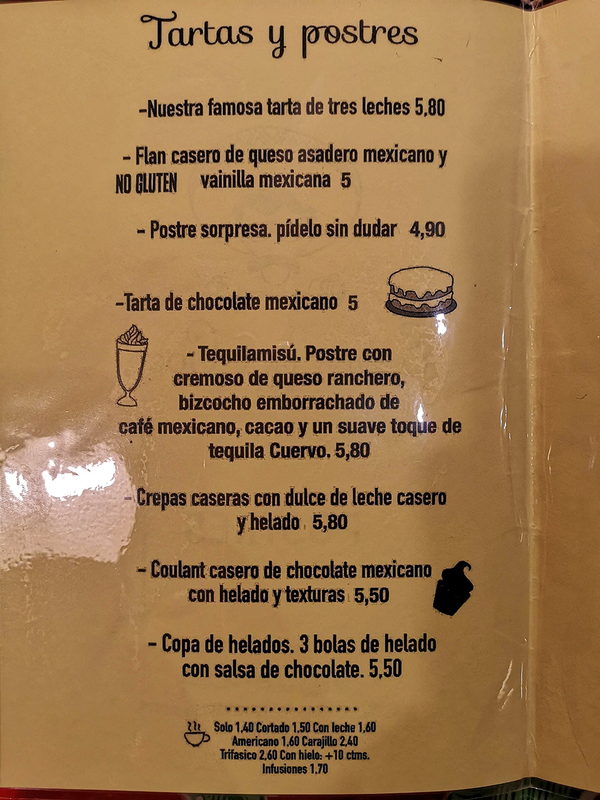 Online menu: Not available, but we have a picture of it. Vegetarian, Vegan or Gluten-free options: Vegetarian and vegan available. Type of atmosphere: Cheerful, friendly. People: Eeva, Rafa and Pablo.